New Delhi: A junior resident doctor of Ram Manohar Lohia (RML) hospital allegedly committed suicide at his residence in central Delhi’s Old Rajender Nagar, the police said. 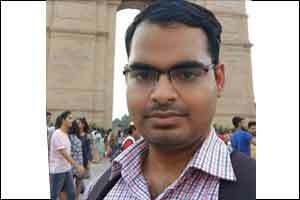 Dr Siddarth Shankar Mahapatra, a first-year postgraduate student in the department of Anaesthesiology at the Post Graduate Institute of Medical Education and Research (PGIMER) in RML hospital, was a resident of Odisha. Police claimed to have found no suicide note at the spot but said that there were indications that he was suffering from depression. “It exactly cannot be called a suicide note. Prima facie, it seems that he was depressed,” a senior police official said. According to his colleagues, Mahapatra, apparently, was unable to cope up with the work stress at the hospital. Police said that they are yet to ascertain whether he took the extreme step due to personal or professional reasons. A colleague said that Mahapatra lived along with two roommates, who are doctors of the same hospital. “While one of the roommates had gone to Jharkhand, the other one was on night duty. He returned home from duty in the morning and found Mahapatra hanging from the fan and alerted the police,” the colleague said. Police said they were alerted to the incident at 8:38 am. “On reaching the spot we found the doctor hanging from the fan hook in the ceiling. It is suspected that he had committed suicide,” a senior police official said. The spot was also inspected by a team from the crime branch. His family has been informed, the police said. The RML authorities expressed grief over his death and said Mahapatra was a good student. “He used to be a little quiet and was an introvert. But he was a good and obedient student. He recently participated in a protocol thesis presentation on September 12 which went off really well. We are not aware of any work stress. Even the faculty is shocked to hear of his suicide,” Smriti Tiwari, spokesperson at RML, said. A senior hospital official informed he was “taking medicines for depression and used to also undergo Electroconvulsive Therapy” to help him with the problem. The official added that Siddhartha’s friend had alerted them about the depression.